Are your meetings are a waste of time and money? 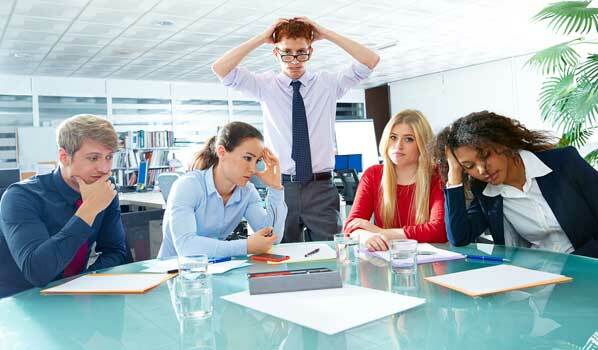 Here are some symptoms of bad meetings and what you can do to fix them. The door to the meeting room opens and it’s the person who called the meeting, running 10 minutes late because the previous meeting ended late and he had to stop by his office and pick up some notes to remind him of what this meeting was about. The folks already in the room are discussing last night’s game and wondering how long the meeting is going to last. Only one person remembers getting the notes from the last meeting. And he’s the only one that has a copy of the report they’re supposed to discuss. Good meeting practice says that a specific agenda will almost always reduce the time wasted in a meeting. A poll of 471 management leaders noted that 90 percent of those polled attributed the failure of most meetings to a lack of advanced planning and organization. So be sure to send out an agenda before the meeting. Review the agenda at the beginning of the meeting and gain agreement to follow it. It’s also important to empower people to point out when the meeting veers off the agenda. That way everyone can share the responsibility to keep things on track. Meetings are places where people report on their work, share information, etc. When members fail to do what they promised, they are being disrespectful of other people’s time – those who came to the meeting in order to participate and learn what progress had been made. Not only are they being rude to co-workers – they are also creating actual economic waste of organizational resources. Facilitation can improve both the process and the outcome of meetings. According to an article in the Fall 2006 issue of /The Facilitator/, using a skilled meeting facilitator increases the productivity of a project by 25%. Of course the magazine may have a bias, but having someone with training in meeting facilitation has the potential to improve most things. If that’s not an option, help the meeting leader develop some basic meeting facilitation skills that will help even out participation. With more than 30 years of management experience in the maintenance and engineering fields, Joel d. Levitt is a leading trainer of manufacturing, operational and maintenance professionals – having trained more than 15,000 maintenance leaders from 3,000 organizations in 25 countries. Since 1980, Levitt has been the president of Springfield Resources, a management consulting firm servicing clients of all sizes on a wide range of maintenance issues, and is currently the director of international projects at life cycle engineering. Time Management Test: How Good Are You at Managing Your Time? Previous article: Time Management Test: How Good Are You at Managing Your Time? Next article: The One Simple Thing You Can Do to Improve Your Meetings Today!